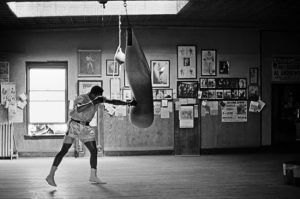 A very basic breathing technique that will increase your boxing performance and endurance in the ring! I am embarrassed to admit that it has taken me about 8 years of competitive-level experience in a wide variety of sports to finally learn how to breathe correctly. It is a very simple technique and opens up a whole new world of physical performance gains for anybody that uses them. Enough already! WHAT IS THE MAGICAL SECRET TO INCREASING ENDURANCE AND OVERALL PERFORMANCE IN ALL SPORTS?!!! The proper way to breathe correctly is to breathe only through your nose for both inhaling and exhaling. Before you start to resist and state that you heard of a million other different explanations for breathing, please hear me out. Inhaling will seem difficult at first because you will feel like you’re sucking air through a tiny coffee straw. This is because the breathing muscles in your nose and body are not yet developed. With regular practice during off-season training, these breathing muscles will develop. Exhaling through your nose should be quite easy. Simply breathe out quickly with your nose instead of exhaling through your mouth. During sports performance, if you want to move fast, you must breathe fast. Exhaling air through the nose is much faster and sharper then through the mouth – which means you can move faster if you exhale through the nose. Breathing through your nose slows down the number of times you breathe in a period. I’ve read some studies that say breathing through the mouth means 60-70 cycles per minute whereas breathing through the nose is about 40-50 cycles per minute. A slower breathing cycle means that you use less energy for breathing and also that you’re probably absorbing the oxygen better since it is a deeper breath. Your body will be less tired when you breathe through the nose. If you observe beginner level boxers. They breathe slow and move slow. If you observe pro-level boxers, they have a very fast “hissing” sound when they breathe and their punches are much faster/sharper. Slower, calmer, deeper breathing means you will have more energy, be more aware, and hit with relaxed sharp punches. Because you’re not opening your jaw to breathe, you will have less risk of being hurt to the jaw, and your opponent will have a harder time telling if you’re tired since you’re not gasping for air. There will always be skeptics. Science has actually proven that we have a nose and mouth for different reasons. When it comes to pushing air, the mouth is made for communicating and making noises whereas the nose is meant for breathing. All animals, including babies breathe with their nose instinctively and use their mouth only for making noise. It is humans that somehow “teach” themselves to breathe through their mouth at some point in their lives. If you look at different people throughout the world physiologically, you will notice that some people have a longer nose than others. People who live in colder climate areas will have a longer nose so that the air has more time to warm before it reaches the lungs. On the other hand, people who lives in warm climate areas will have a shorter nose so that the air stays cool before it reaches the lungs. Mouth breathing isn’t completely useless. When I punch very quickly, I still like to exhale in quick little bursts through my mouth. The reason why is because mouth breathing is slower and so I don’t exhale out too much of my breath too quickly. So I do use the mouth for breathing sometimes but I only use it to exhale when I punch. The short burst of air through the mouth seems to add a quickness and sharpness to my punches while conserving air for more punches if needed. I’ve tried it myself. I went running for weeks breathing only through the nose. It was hard at first but I took it a step further by breathing through my nose all day. I focused on it while I was driving or sitting at the computer. Within a month, I had fully converted myself to becoming a nose-breather and performance benefits were ENORMOUS. Even when I’m out of shape, I can still perform to nearly 60-70% of my performance when I was in shape and I owe that all to nose-breathing. There are many people who refuse to trust it because it’s so uncomfortable. I don’t expect anybody to believe in it but if you really want to try something new improve your performance – try this! 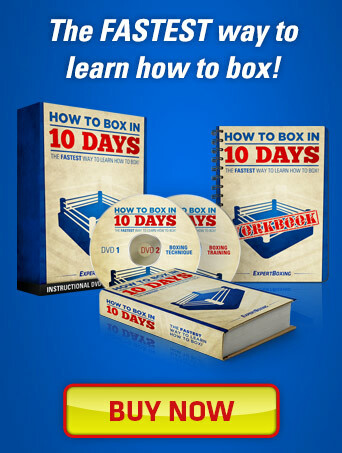 Check out my updated boxing guide on breathing technique! I’ve always tried this, for me the exhale is the trickey part. I totally feel the same, man. I don’t get my nose messed up but sometimes during a fight, some mucous or boogers clog up my nose and I start having to pant for air with my mouth and it makes me sound more tired than I am. I read in a site that if you get punched in the nose while exhaling you may rupture your eardrum. That’s like saying, “You can go blind if you get punched right in the eye.” I don’t doubt that it could be possible but I would say it’s highly unlikely. There are tons of boxers that breathe through their teeth. Just ignore them and use whatever method you like best. Breathing through the mouth can be just as fast but it’s definitely not as calm and energy-efficient as breathing through the nose. There will forever be conflicting advice about what method to use. I read this article and tried it this morning on my run. I noticed at first that I felt better energy wise and was more calm in my run due to breathing less. It will deff take some getting use to as half way through my run I had to return to nose and mouth breathing. I will give it a try for a month and see how it works. 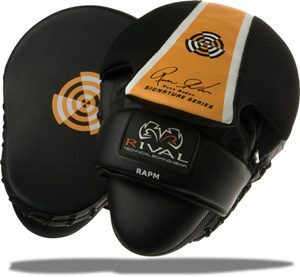 I am a boxer also and will be giving this a try during workouts. 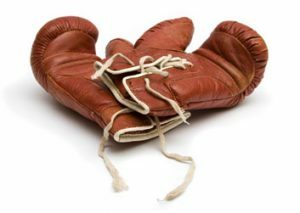 i am from papua new guinea and i am 17yrs of age..i just began boxing some weeks ago..im doing it coz i want to be the best..im new to your site so just want 2ask,”how do i handle some1 who’s power hand is on the opposite of myn? ?..becoz my power hand is my left”..
What stance was that person? If you can, post in the forums and I’ll help you there. i actually found out about that stance just by reading through your really,really helpful tips…was confused at first about the stance bt just by reading through yo tips,(which i read over again and again)he’s an orthodox boxer..
i tried breathing through my nose and man i got to admit that it really helped my alot..no more breathing through my mouth..now thanks to u,i am able to keep going no matter how tough the workout is and i am able to stay longer in the ring. I’m going to have a few guides coming up soon on how to do this. please do,.i really apriciate the help and advice u post in the forums..cheers! I used to always breathe thru my nose when i boxed but when I exhale thru my nose for a punch you can clearly hear it. Then when i went to a new gym the coach said that if i was breathing like that he would have his fighter go for my nose to mess up my breathing so i started exhaling thru the mouth again. And i like to exhale sharply when punching any tips on how to do this better through the nose. Your coach is right. Nose-breathing still has a vulnerability. It’s also hard to nose-breathe if you’re bleeding through the nose. In any case, I use both methods. As for exhaling sharper when throwing punches, try to squeeze your abs in. When you throw a punch, try to tighten your core as you relax the rest of your body into the punch. Give that a try and let me know if that helps. I know this is an old topic but it deserves to be revived. I’ve been breathing through the nose for a while now when I punch. I’ve noticed I can punch for a bit longer while inhaling/exhaling through the nose only vs inhaling through the nose and exhaling through the mouth when punching. It seems this is b/c I inhale like 2-3 seconds faster(when breathing through nose) than I would have to when exhaling through mouth. It also seems a bit of my focus has to be put on maintaining a rhythm when inhaling through the nose and exhaling through the mouth. While breathing through the nose only keeps its own rhythm. Only thing left is to get my trainer’s off my back about not breathing through the mouth. They say breathing through the nose is slower compared to the mouth. That it will cause you to get the wind knocked out of you. @ Adale M – Breathing through the nose works wonders for efficiency and performance. The rhythm will become natural with time. I would recommend you go running with your mouthguard in and soon enough it will become second nature. I do know that some trainers recommend you being comfortable with both methods because in professional fights, you might have a bloody nose (or runny nose) and have to revert back to mouth breathing. When i 1st used to run on the treadmill…my other mates told me to breathe through the mouth and the result would be that I was getting tired very easily….and also i ran fast for few minutes and get tired very easily…. When i am sparring, i have the nose blocked by fluids so its difficult to breath. Can you help me? @Jeff – there are these little nasal medicines you can buy at the pharmacy. You basically sniff them and they clear your sinuses. It’s like sniffing Tiger Balm or Icy Hot. I have the same problem too. I just keep pulling my fist out and blowing my nose during the break periods. I like to breath through my nose and out my mouth while sparring. I’ve found it to be the most comfortable way to breath so far. @Laura – that is the best way. Im proud of you johny! To be able to tell this fact to all our readers , this is the fact that we always teach patients with respiratory illnesses and clients alike, to breathe throught the nose, because only through the nose will the air be moistened before it gets to the lungs, long term habit of breathing through the mounth will eventually damage the lungs because the air that will come to it will be so dry, boxers would not want that to happen right? Kudos to all! When you punch do you just exhale or do you breath in the nose and then exhale? When I punch, I exhale right away with whatever air is in my stomach. I take only a short breath so I never run out of air. I have a question to ask of you. Would you recommend using a mouth piece to start training with your breathing through your nose? I would recommend using a mouth piece just because you need to get use to it. Breathing through the nose is something you through training. Exhaling through the mouth when you need to move explosively. why dont you disyn on the homepage a study guide to this website i think it would help? Johnny, i heard that every night before sleep, taking 100 deep breaths helps the condition. Do you have any information about this ? Also is it good taking really deep breaths before the bout begins at the corner or is it bad cause maybe it can cause air (gas) in the stomach ? Thanks. Radd, deep breathing exercises are definitely a part of healthy living and good for the body. My trainer did tell me to take 10 deep breaths or 3 REALLY deep breaths in between rounds. It never caused any gas in the stomach for me. If anything, you may feel light-headed if you hold in the air too much. Hello, Im more concentrated on the exhaling when punching , when I do a hissing noise out of my mouth, I feel like Im punching a tad faster, (only a little) but when I do a sort of humming noise through my nose, I feel I can see the punches coming back better when my opponent throws back, I only have this theory through light sparring, but when doing the hissing noise I dont see them coming back as well (basically feel like I have better defense when exhaling through nose). My best attribute is speed so I try to use it as fast as I can,I know this all may sound a little strange but whats your opinion? And is my theory right about seeing punches come back better (defense). Thank you. Hissing out through the mouth is the method I use and the one I recommend. As for your theory, I’ve used both nose exhalation and mouth exhalation and didn’t notice much difference between them. it’s the way of the universe, the universal truth, man, breathing thru the nose allows a user a slight ‘passage’ into The Way, things just flow a little bit more on that side. maybe ‘breathing thru the nose’ was not meant for ‘hard’ contact sports where it feels more natural to exhale in certain situation like a punch. Hey Johnny, Thanx for all the great tips. Can’t wait to try this technique out. Just had my third sparring session. Been training for a few months and only sparred three times. We switch guys every round. 3:00 min rds. My first six rds(2 seperate days) I sparred against pro’s, and a couple of them used me as a ego boost. I had 2 black eyes, 2 cuts in my mouth, bloody nose both times, and I got knocked down, but I never quit. I even asked to go back in after the first nose bleed. I aint gonna lie, i was scared that last round, and i pretty much ran the whole time. My third sparring session(yesterday) I noticed the pro’s were helpIng me more than beating me. I think I earned a little respect for not quitting. I also got to go against some guys closer to my skill level. I noticed that I could take there shots real good after taking the harder hits earlier. Anyway, sorry to ramble and thnx so much for all your hard work u do on this website. The first Yoga breathing exercise for beginners consists in diaphragmatic breathing with quick exhaling through sudden contraction of the abdominal core, so you breathe in using the lower part of the lungs and exhale quickly through the nose. There’s a nice feeling to it and it’s not difficult, you can feel the burst of the core contraction channeling energy all the way through the spine. Does anybody else perform Yoga exercises? I’m a novice at it, but it helps me a lot. is it ok to exhale through my nose everytime i throw a punch? Is there e difference if i exhale through my nose or through my mouth when punching? By the way, thank you for making this website. I lose 10lbs in just 1 month. Try it for yourself and see. Personally, I would say exhaling with the mouth will give you faster, sharper punches. But do SMALL exhalations. Don’t try to squeeze out all your air with one shot. Circular breathing is a technique used by players of some wind instruments to produce a continuous tone without interruption. This is accomplished by breathing in through the nose while simultaneously pushing air out through the mouth. Dating back more than 4,000 years, the Chinese developed what is called ‘Qigong /氣功’ that has this very same breathing technique at its core. Qigong is in many forms : in traditional preventive and curative functions, in Confucianism, in Taoism, Buddhism and Zen as part of meditative practice, and is an important component in Chinese martial arts to enhance fighting abilities. Extraordinary feats of martial arts prowess, such as the ability to withstand heavy strikes (Iron Shirt, 鐵衫), and the ability to break hard objects (Iron Palm, 铁掌) , are abilities attributed to qigong training. You’ll see a similar pattern with the roots of Yoga. Once you learn to breathe correctly you will be in complete sync with your body. Also from martial arts, the term Kiai (気合) commonly refers to a short yell made before, during, or after a technique. There are numerous examples of the battle cry in other cultures: kiai is primarily a development of this. The physical aspects of a kiai are often thought to teach a student correct breathing technique when executing an attack. Students of Japanese martial arts such as aikido, karate, kobudo, kendo, or judo (or related arts such as taiko drumming) also use kiai to startle an opponent, express confidence, or express victory – in others words, psychological combat. Interestingly, in kendo a point is only scored if the hit is accompanied by a kiai. Mental imagery techniques are used to teach the martial artist to imagine starting a kiai in the ‘hara’; from a physiological perspective, this means the yell should start in the diaphragm, not the throat. brilliant articles. I will try your breathing method on my next training session. Long time I was looking for answer about the most effective and efficient breathing method in sport. Your article helped me ! Thanks. Also I heard that the breathing through the nose make very important job for our brain. Air which goes through the nose make a massage for brain. Neuro science says, this is very important function for the brain. I see a lot of positives to play and check how it works with me. I’m a total beginner. When I breathe through the nose while boxing, I eventually always get a stomach stitch right underneath my right rib, because of a pocket of air. Once I “burp” the air out over a few minutes, then I’m ok. This does not happen when I breathe through the mouth. Is this because I need more training? How can I avoid this when breathing through the nose. Note: I have chronic sinus blockage. I’m not sure how to deal with this. You should ask a doctor or search around on Google. This is reassuring! I was training in Shaolin martial arts for many years and breathing in and out of the nose during stamina and forms practice was the norm for me. But, now that I’m older (36) and have not been as active the past few years its difficult. Started training again a few months ago and its been very difficult to not pant through my mouth. I will focus on nose breathing again for sure. Thank you! That’s the thing with mouth breathing. It makes your breath shallow and so then it ultimately leads to panting. With nose-breathing, it forces you to stay calm. You should notice a great improvement very soon. Graded exercise therapy can be very beneficial, if it is done with one old key rule: nose breathing only I used to always breathe thru my nose when i boxed but when I exhale thru my nose for a punch you can clearly hear it. Then when i went to a new gym the coach said that if i was breathing like that he would have his fighter go for my nose to mess up my breathing so i started exhaling thru the mouth again. Your coach makes a good point. It really depends when you breathe out with your nose. During a high speed exchange, mouth is better. But if there’s some distance and you’re both moving around, using the nose is fine for that. How i exhaling with the mouth when i vive a punch? Quick exhalation through the mouth. Old topic, but I had a question….you mentioned Johnny that when exhaling with a punch you should “try to squeeze your abs in”. I tend to do the opposite and press them out with and exhale. Whats the proper way or does it just depend on what feels best? Contracting the abs is better. Sorry are you saying contract your abs WITHOUT drawing in your gut? The contraction is only a slight one so there isn’t much movement regardless of whether it’s going in or out. It’s possible to breathe through your mouth, just make sure you don’t open your jaw. So you’re saying when we punch we should breath out through our nose instead of our mouth except when we’re throwing fast combinations? I notice sergio martinez does that, he doesn’t make the “tshh” sound with his mouth but with his nose. .. Please read my updated guide on breathing technique. It’s called, “Breathing Techniques for Fighting”. Man, I’m sure you’re one of the most open-minded people in the world. I’ve been breathing in my nose ever since either TKD or boxing. I only find it reasonable to breath in the mouth if yo’re already catching your breath. The problem with mouth breathing is effort and unnatural that makes me hard to concentrate. Though it has its advantage, I always have this tendency to over think. It’s such a relief that you agree. I don’t know why boxers, even professionals but not all, teach that you should do that “shhh” exhale-thing as you punch. They don’t do it themselves in a fight anyway in reality (especially if you’re making combinations). I’d rather take it as people just have different ways, but there is still right and wrong, but what’s most important is the result. The shh noise comes natural to me when i’m exhaling and to put that volume of air through my nose is just not possible as i exhale explosively when i punch. It makes you quicker and more powerful as it tightens your core muscles as you accelerate and make impact. Also if you don’t exhale as you make impact with a hard object it can wind you slightly or give you a stitch because your diaphragm gets jostled and almost every boxer does this some even snarl as they punch but i find this uses too much air. i thought it was in through the nose, out through the mouth. something to do with tightening the core during exhales? also something to do with having no air when getting hit to prevent getting winded? Great article. 24/7 nose breathing through rest and exercise is exactly correct – but it is harder at peak intensity. Burning lungs, the need to gasp big breaths, “catch your breath”. Why do we all have an urge to resort to the mouth at this point? Sorry to contradict, but it is because air flow to/from the lungs is much faster through the mouth. This route avoids all the dead space in the nasal cavity and, bam, quick exit and delivery. But, again, why are we dying to catch our breath? Well, except for the highest of the high level athletes, it has nothing to do with an immediate need for oxygen as we all tend to think. It’s all about CO2 tolerance. First, Look up the Bohr Effect. Quick summation: the more CO2 in your system, the more O2 will be released to your tissues. Too little CO2, less O2 release. However, too high a CO2 level can be dangerous. So your brain, in the medulla oblongata, regulates when your body should dump high levels of CO2 by registering a burning lung pain. A switch — and most of us, over time, allow the switch to get less and less tolerant. This matters because the gasping for air and burning is because your body creates way more CO2 during intense exercise. When this level gets too high, the result is excessive, burning pain in your lungs and the desire to exhale, likely through the mouth, as much air as possible. The switch said so, basically. It’s a desire to breathe out AND in — a breath of air in will immediately lower CO2 levels in the lungs. Repeated exercise pushes the brain’s switch to be more tolerant of CO2 levels, thereby allowing higher CO2 concentrations before that switch turns on — and the need to “catch your breath” doesn’t come so early. If you do no exercise and over breathe all the time, the switch will get less and less tolerant because CO2 levels never get up where it makes a difference — even to just maintain the limit. Your body does this with many things. Bigger muscles, push the strength limit — and it’ll hurt a bit. Less muscles, sit in bed, never move, and atrophy to nothing — or eat tons and be a blob of fat with no muscle. That out of shape, middle aged guy who is panting at the top of the stairs thinking he is out of O2, is wrong. That bit of exercise increased his CO2 levels, and then his body is trying to get him to dump it, fast. So, through the mouth and heavily. Still with me? Ok. Sounds like junk, right? Still thinking the body is crying for O2; that’s why you need to catch your breath. Well, have you ever blown up an air mattress with your mouth? Big breath in, big breath out. Got lightheaded, huh? Bohr Effect. You were breathing so heavily, you dumped all your CO2. Not enough CO2, then no O2 released to the tissues — including your brain. What about holding your breath underwater? Big breaths in and out before you go in will allow you to hold your breath longer. This is because you dumped a lot of CO2 exhaling and it will take longer to build up that burning feeling in the lungs. Just don’t hyperventilate too much or you could pass out in the water due to lack of oxygen being released to you tissues. Again, the oxygen is in your blood – it’s at about 95% saturation potential at all times — but without CO2 it will not be released properly. Bohr Effect. Hold you breath for as long as you can. Can you go a couple minutes? Painful, but you didn’t get lightheaded, right? But if you’re starving for oxygen, you should have been. The brain needs oxygen constantly. So, clearly weren’t starving for oxygen yet; however, if you weren’t starving, why couldn’t you hold your breath longer? Eventually, you will need to breathe and get O2 before you pass out like a spoiled child trying to get his way. But, again, it was just chest pain that made you quit like all of us comparatively lazy, adult — or maybe child — modern humans, who let our CO2 switch get low. Most of us can’t even come close to a true blood O2 deficit — just like during exercise. Now hyperventilate hard and fast for that same amount of time. Lightheaded? Your body couldn’t release as much O2 to the brain because you dumped all your CO2 with heavy breathing. Bohr Effect. So, why is it that your not getting lightheaded when you breathe heavier on a good jog? You breathe that heavy into an air mattress for 30 mins and it’s lights out. It’s because that heavier breathing and extra CO2 release, is proportional to the extra CO2 being created with exercise. Body CO2 levels stay high, O2 gets to the brain, 30 mins is no worries – besides the burning lactic acid in the muscles. Yes, some do get lightheaded with exercise anyway. The out of shape who panic and huff and puff and actually manage to dump more CO2 than the exercise creates. For sure, that happens. Good luck doing it through the nose though. The nose helps to limit. If you can’t help but to use your mouth, you have reached your peak level of activity. And that’s it. Regulate your CO2 switch for increased lung power using your nose as a performance level indicator. Training will hurt more for a while only breathing through the nose. You will slow down or cut short for some weeks. But, you will bounce back and surpass previous levels. Mouth-breathing will screw you. FYI, look up mouth-breather in a dictionary. There’s a reason. – only breath through nose. – intolerable lung pain means too hard. Slow down a little, avoid the natural panic state, love the lung burn, slow down your breathing as soon as possible. Let your brain get used to the new level of CO2 and it will slowly up the tolerance. – NEVER USE YOUR MOUTH TO BREATH. – Breathe through the nose until you have no choice but to exhale through mouth. Good trick, one solid exhale through mouth here and there, and then back to just nose — just careful not too much. – Wait until the last moment before your both inhale and exhale through mouth exclusively. – Slow your breathing down if lightheaded. Not bigger, longer breaths. Relax. Calm your lungs and build the CO2 back. Breathing heavier sooths the burning pain, yeah. But you’ve got to get some O2 to your brain. If you take that huge breath in, it is beneficial in a way, initially, but the end result is negative. The CO2 level in the lungs could be 4-6%+ of the total volume. Because there is a low total air volume in your lungs after you exhale, and since air is 0.039% CO2, a breath in will mix with the current air volume, thereby lowering the overall CO2 percentage of the new, greater air volume in the lungs. Relief. However, all that air has to be breathed back out. CO2 is constantly getting dumped into your lungs and, logically, a big breath back out will release more CO2 than a small, calm breath out. You could try to breathe that big breath in back out slowly, bet it’s just better to avoid the whole thing, put up with the pain as much as you can, get calm as soon as you can, and breath relaxed. Do what you gotta do to get through, but we all know a heavily mouth-breathing fighter is a sign for concern. He pushed it, and the pain will be too much just breathing through the nose. Of course, maybe his CO2 switch is already at it’s highest, and the CO2 levels are actually at a toxic state, or he can push the limits so much physically that he actually needs more O2 (both elite athlete). Regardless, all of these will force mouth-breathing. It’s only the best of the best that have to increase their breathing to get more O2. Their CO2 tolerance is so high they can push to the outer limits of human activity to the point where they actually need more air for more O2. If you’re not at that level, it’s all about CO2. This science has been well known for years and years, but it gets ignored. Weird. Seriously, last time, Bohr Effect. It’s in medical books for crying out loud. It’s not fringe. Do some research. CO2 levels are crucial for oxygen absorption. This translates to health, athletic performance… all of it. Again, this is about lung conditioning. Not muscle conditioning or lactic acid threshold. Although it is all intertwined, who can say that their “hit-a-wall” is something else before their lungs in most high intensity sports at a non-pro level. I look solid until I push it too hard and my lungs tank. Yeah, my shoulders hurt holding the gloves up, and it’s almost intolerable, but when my lungs are done… yeah, it’s all over. Girlfriend could probably jump in and mess me up. Thank you for the long explanation. 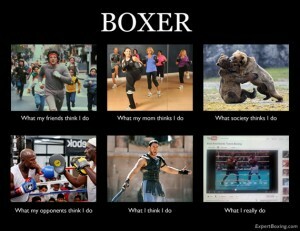 To make this more applicable to boxers…I would clarify. Fighters use only nose-breathing in the ring and then wait until in between rounds to take the 2 or 3 deep breaths with their mouth. Boxers don’t breathe too much with their mouth in their ring because that leaves the jaw vulnerable to being broken. Also, boxers are ALWAYS exhaling with their mouth in the ring so a lot of this information is already indirectly applied. The pure nose-breathing is during conditioning only. But for punches and other explosive fighting movements, fighters should always be exhaling with their mouth. Please refer to my updated guides on breathing for more detailed information. A few months ago I started having constant congestion. I initially thought it was a deviated septum but over time I noticed that it wasn’t consistent. Sometimes I was congested on the left side and sometimes on the right. Every once in a while (once a month?) I’ll blow my nose and a thin, scaley, opaque thing will come out of my nose. Any idea what’s going on?? I’ve been trying to find something online similar to my situation but haven’t come across anything else. Please help meeeeee. I’m no expert in this. Have you tried seeing a doctor or looking it up online?